Sparkle into this Spring/Summer season with our Amerie Sandals! Featuring an all over diamante embellishment. Dress down with a pair of cute denim skinny jeans and jacket, or gorgeous floral maxi for those summer evenings! 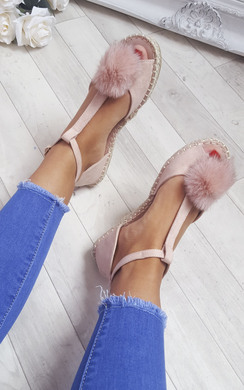 The 'Matilda' flatform sandals are so perfect! They are super sparkly as they feature diamante detailing across the straps, they also feature a slight flat form which works well if you want to dress up for a garden party! Our 'Karley' embellished sandals are one of our best sellers! Available in 4 beaut colours they are super sparkly and comfy with a toe post style and stretch back, they are for sure on our list to buy this season! Our 'Ava' flatform style metallic sandals are stunning! 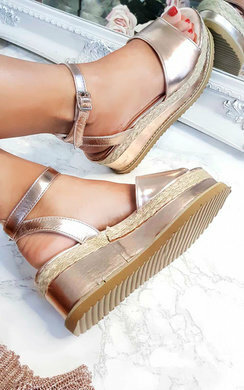 With an ankle strap and metallic finish these are perfect to style with summer midi dresses and killer accessories, whilst keeping up a glam look with the slight platform in height, you definitely cannot go wrong with these! Be sure to tag your favourite sandals on social media using #ikrushbabe for a chance to be featured! We love to see your faves!